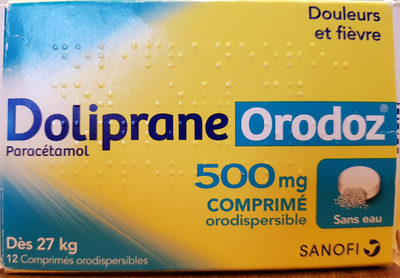 paracetamol, ethylcellulose, glycine Bn 500, crospovidone, talc, povidone, k30, arome menthe, acide citrique anhydre, silice colloidale, chlorure de sodium, stearate de magnésium, acesulfame de potassium, aspartam. Product added on November 23, 2018 at 3:20:17 PM CET by openfoodfacts-contributors. Last edit of product page on November 23, 2018 at 3:28:09 PM CET by .